The Netherlands, the Low Countries. Home to dykes, bikes, clogs and croquettes. But most importantly for this story, iconic home for centuries to windmills. And that means home to the most wonderful flour near at hand. If you live in the Netherlands, there’s a good chance you live within moderate striking distance of a windmill that grinds its own flour. (If you live here in Delft, the Delft Windmill — http://www.delftsemolen.nl — uses traditional methods to make stone-ground, organic flour and you can even watch them in action if you visit on Thursdays.) And that makes the Netherlands a wonderful place to learn to bake bread. I started baking less than a year after arriving in the Netherlands and I’ve now been making all our family bread for more than 2 years, from loaves for weekly lunches to bread for special occasions. It’s been a wonderful adventure, providing lots of fun, relaxation and (almost) always with a very tasty reward at the end. In this next edition of Delft Mama’s cooking evening, we will prepare and bake together two basic breads: a yeast loaf and a soda bread. By varying the shape and size of the loaf and the flour or mix of flours used, these simple breads can be styled to suit almost any occasion. 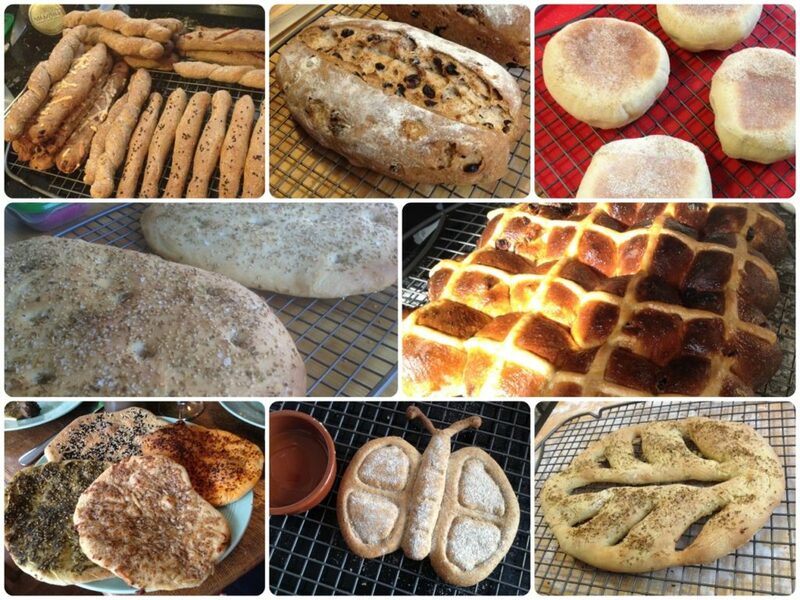 And practising these will give you the confidence and skills you need to branch out into more adventurous breads like English hot cross buns, Italian ciabattas and French fougasse. During the evening, we will each prepare and bake two small loaves which you can take home with you at the end of the evening. 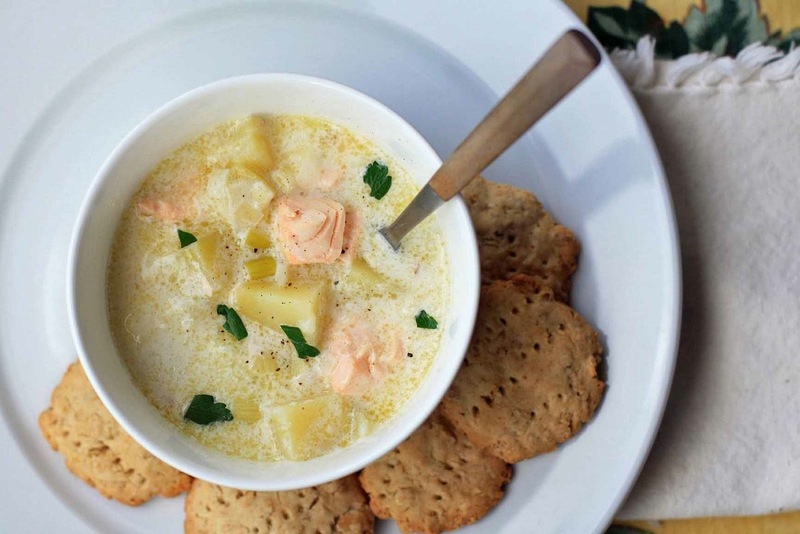 For dinner, while our loaves are rising and baking, we will eat bread I have made earlier with a traditional Finnish salmon and potato soup brought along by Tarja van Veldhoven. Come along and join us… if you dare. 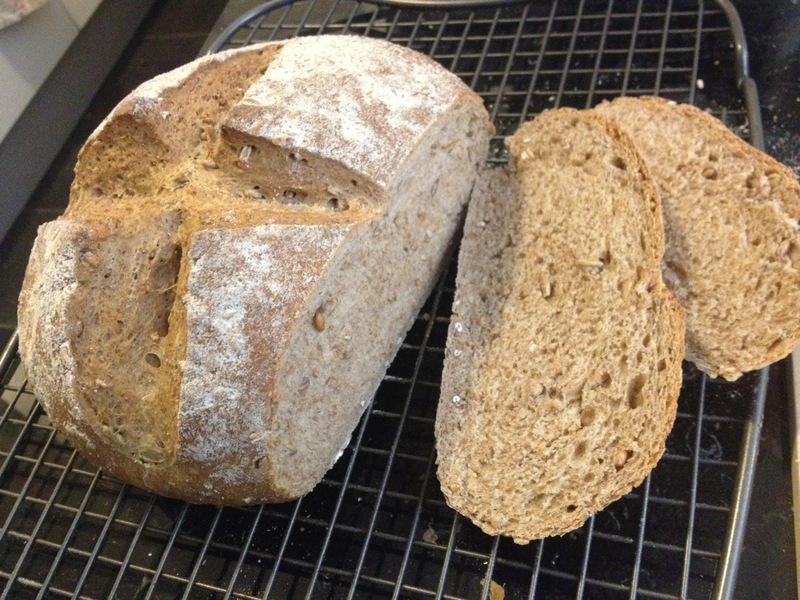 Once you start, baking your own bread can be a hard habit to break. Delft MaMa hosts a series of special mosaic introduction sessions spring/summer 2017. 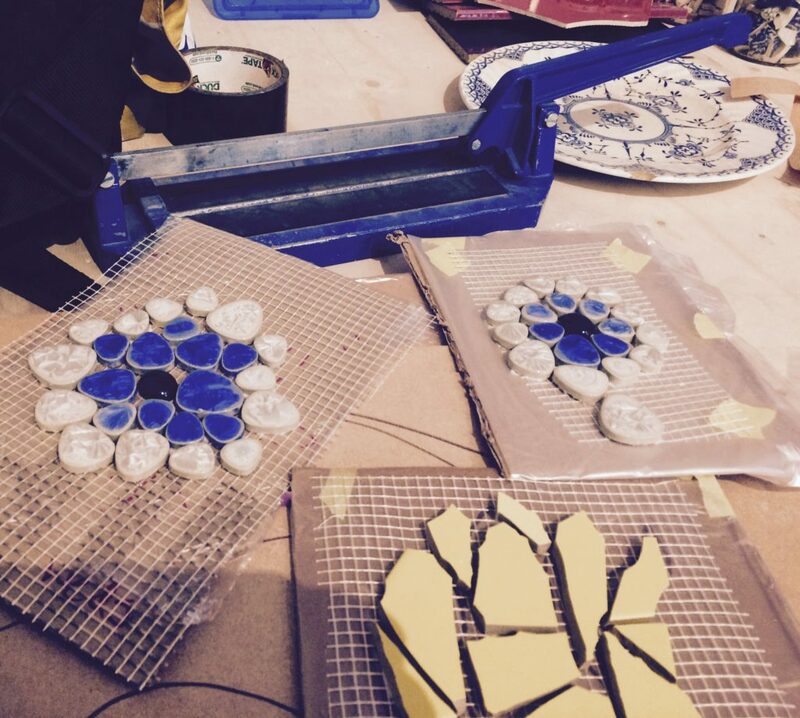 Delft MaMa Nan Deardorff McClain will be introducing interested participants to the art of making mosaics. These events will also be a great introduction for our Delft MaMa 10th anniversary set of events and projects. The Dutch are not famous for their cuisine – and in the Netherlands food is commonly seen as fuel for the body. Nevertheless, the Dutch do like to go out for dinner “voor de gezelligheid” and they then do indulge in some tasty Dutch classics. Famous from my region, “Groninger mosterdsoep” (Groninger Mustard Soup). It originates from the North of the Netherlands, but is now eaten all over the Netherlands. 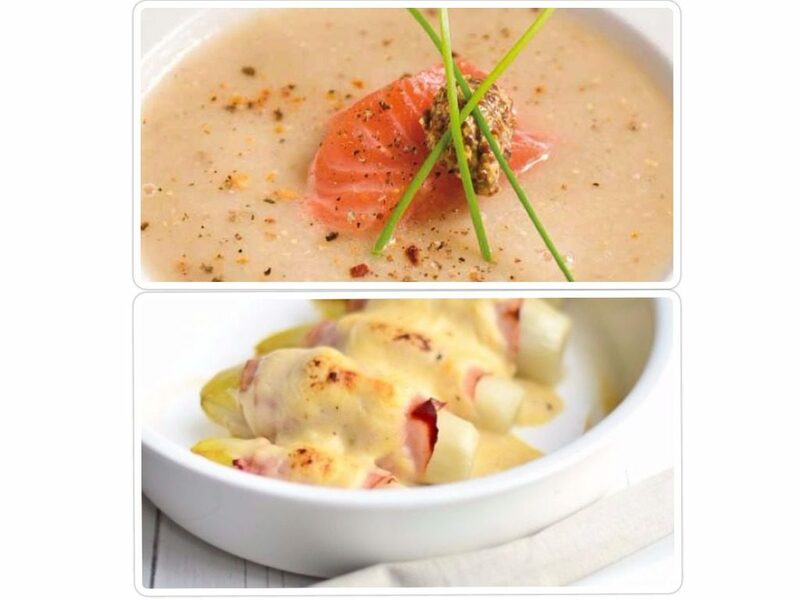 Made with just a couple of spoons of mustard from the Marne this soup is warm and flavorful icon often enjoyed with either bacon, smoked salmon or Dutch shrimps. For this recipe Marne mustard is used from the province of Groningen. The mustard factory originates in Kloosterburen. 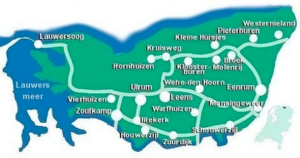 This region is close to Zoutkamp at the Lauwers lake (previously Lauwers sea, it dammed from the sea in 1969) – a fishermen’s village famous for its fresh Dutch shrimps. Combining this heritage, today’s workshop will feature mustard soup with spring onions and fresh shrimps. As a main course we will go all the way to the other end of the country, to a part that used to be a part of the Kingdom of the Netherlands but is now the capital of Belgium, Brussels. During the independence war of 1830, a Belgian farmer in Schaarbeek hid chicory roots in his basement under a layer of sand. Due through the mild winter these grew out to form a leafy vegetable found to be very tasty. Up till today, this vegetable is popular in the Netherlands and Flanders and is often eaten with ham and cheese. So for the main course, this workshop will feature “witlof met ham en kaas”, chicory with ham and cheese. Argentinian gastronomy is known for its main ingredient, especially beef. The type and cut of beef basically determines the type of cooking, and this goes from fast cooking, stir frying to stew. 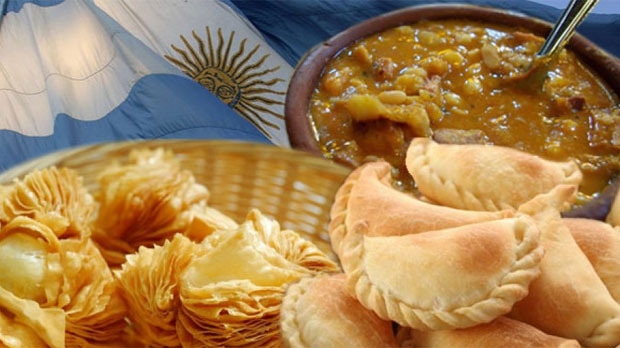 Each region has its own dishes, but Argentine Traditional Creole Cuisine, Cocina Criolla Tradicional, is the perfect combination of native ingredients and cooking techniques introduced by immigrants. One of the most representative dishes is Locro Criollo, a thick stew of vegetables and beef, which is usually consumed to celebrate the May Revolution in the fall, or Independence Day during the cold July. Of course you can never miss the Creole Empanadas, Empanadas Criollas, stuffed with “beef cut by the knife”. And the best Argentine wine for a perfect pairing, Malbec. We’re happy to invite you to our first Fundraising High Tea Party on Saturday 10th December 2016 at 14.00 hrs. Let’s have a relaxing afternoon in good company, drinking tea or coffee and enjoying sweet and savory pastries. This is a fundraising event for Delft MaMa so not only you’ll be enjoying a child-free afternoon with other mamas, but you’ll also be helping out this organization to keep going strong 🙂 See the Facebook Event Page for participating mama’s! The party will be held in a private room at Lunchroom Leonidas in the city center, Choorstraat 24. We have special menu options for our vegetarian, lactose-free or gluten-free mamas. The High Tea lasts about 2 hours. For price information and tickets please contact Sandra Treviño at sandratrevinob@gmail.com or via private message; we have limited seats so please get your ticket on time! In September the Ladies Night Out will be organized two weeks later than normally, on the 20th. We have a table reservation under the name Delft MaMa at the Bierfabriek from 20 o’clock on. Hoping to see many of you there! I’ll be there for sure, so you’ll definitely have someone to talk to! The Mama Café Delft organizes a Moederdag event on Saturday May 7th at Plukkebol kinderopvang located at Raamstraat 65. 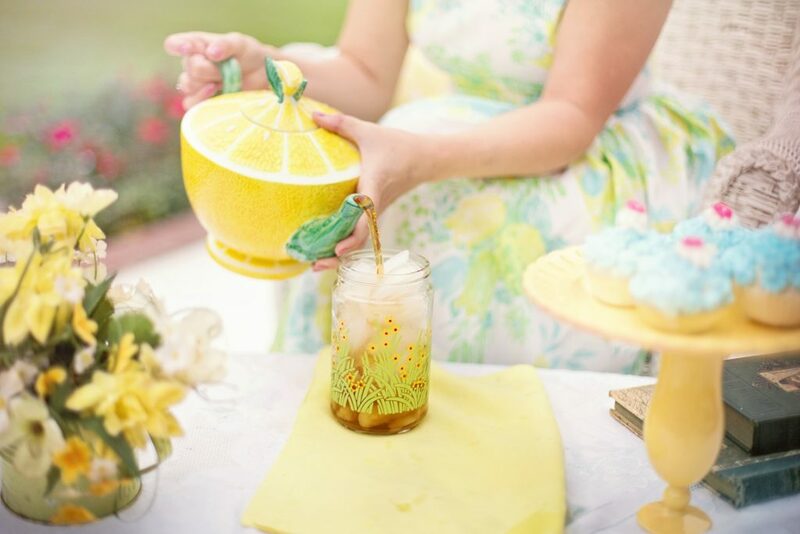 From 10.30 till 12.30 Mom’s will be pampered and celebrated this morning! Dad’s are off course more then welcome. They can craft a mothers day gift with the kids, chat with other parents and play with the kids while mom’s get a relaxing handmassage or ask questions to our nutritional coach. The weather will be nice so we can all sit and play outside in the sustainable green playground of Plukkebol. Mom’s will receive a goodie bag! We look forward to welcoming lot’s of parents and kids this morning! – Nutritional coach Maaike Dijkstra will be available for 1-on-1 sessions. She is also specialized in women who just gave birth and also women who breast feed. Entrance is free, but we ask €2,50 per family for snacks and drinks. You can donate this in cash with our hostesses or transfer it (preferably upfront) digitally to NL21INGB0007411412. Consider helping Delft MaMa by becoming volunteers for a cash collection in collaboration with Het Oranje Fonds, May 17-21 2016! Half of the money collected will go to Delft MaMa, while the rest is assigned to charities in South Holland. 20 volunteers will go door to door in pairs to specific parts of the centre over May 17-21, between the hours of 17:00-21:00. If we have more people available we can split the shifts! The money will be spent to pay for our website, brochures, insurance policy and our self-organised events. Contact Lucie Cunningham if you are up for it with a Delft MaMa friend. DelftMaMa is happy to introduce the third edition of the Delft MaMa charity walk that will be celebrated on Sunday 27 May at 10 o’clock in Delftse Hout. We`ll be gathering in front of the waterspeeltuin at Korftlaan 3A, 2616 LJ Delft. The loop is about 3km. At the check-up point you will be offered a map with the route to follow along with a quiz for kids. If you forget to transfer the money beforehand, you can make your donation with cash at the register the day of the walk. Please try to collect extra sponsorship from friends and families as well! Refreshments will be offered at the finish line and if the weather allows it, consider staying for a picnic (if you do, please do not forget to bring food and drinks along). Spread the word amongst family, friends, neighbours and acquaintances. We are happy to introduce the first edition of the Delft MaMa charity walk that will take place on Sunday, the 17th of September at 10:00 in Delftse Hout. Let`s gather in front of the Waterspeeltuin at Korftlaan 3A, 2616 LJ Delft. The loop is about 3km. At the check-in point you will be offered a map with the route to follow along with a quiz for kids and a quiz for parents. Grown-ups, brush up your Delft MaMa knowledge, just in case. Kids are welcome to come with scooters, walking bikes, skates, rollerblades, etc. Description: “Charity Walk 2017 Donation” and your name that we can properly thank you! If you forget to transfer the money beforehand, you can make your donation with cash at the register the day of the walk. Please try to collect extra sponsorship from friends and families as well!